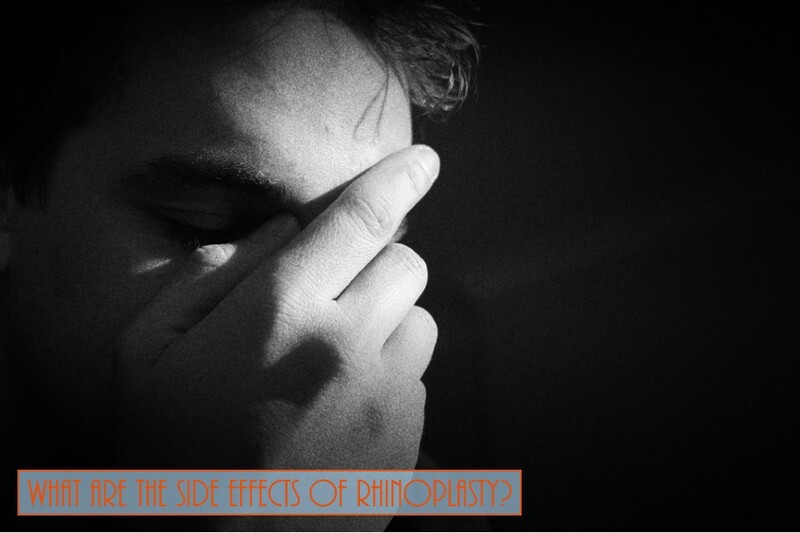 Home > Blog > What Are The Side Effects Of Rhinoplasty? Pain - Because Rhinoplasty requires extensive alterations of nasal bone and cartilage, patients may experience pain or discomfort following the procedure. Fortunately, this discomfort is usually minor and most patients find that over-the-counter analgesics are enough to manage this pain. For patients who are particularly sensitive to pain, your rhinoplasty surgeon may be able to prescribe stronger pain medication. Swelling - One of the most common side effects from rhinoplasty is swelling around the eyes and nose. The swelling is most noticeable in the days following surgery, but largely subsides after about two weeks. It is important to note, however, that some minor swelling may be present for up to six months following rhinoplasty surgery. Bruising - The degree of bruising that follows surgery will vary depending on patient sensitivity and the extent of the surgery itself. This bruising is usually contained to the area around the eyes and can last for up to ten days. While bruising is not a sign of any more serious complications, you should monitor your condition in the days following surgery. If anything seems abnormal, your physician can advise you as to whether any measures besides rest and time are necessary during your rhinoplasty recovery.